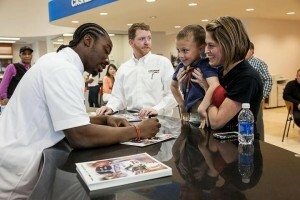 Former South Carolina running back Marcus Lattimore stopped by Bradshaw Chevrolet Buick GMC Cadillac for a Meet and Greet with fans on Saturday, April 6th. 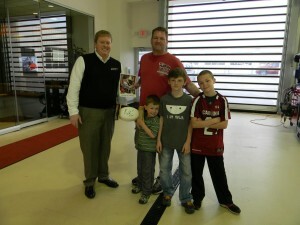 Fans came out in droves to meet Marcus, a Duncan, SC native, in his final public appearance before the 2013 NFL Draft. 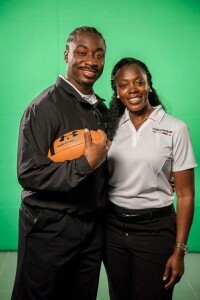 Lattimore spent two hours signing photographs for local fans at Bradshaw Automotive in Greer, SC and filmed a commercial for the dealership with several Bradshaw employees and his mother, Yolanda. 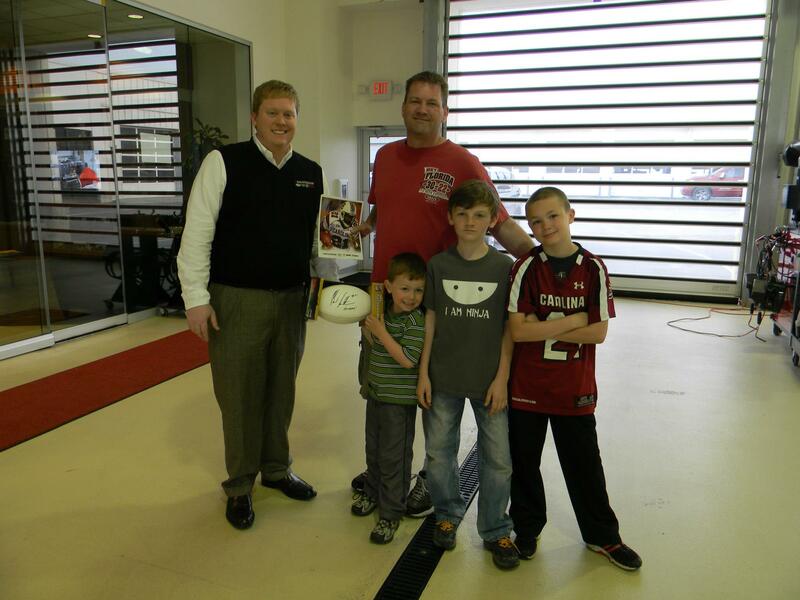 One lucky Bradshaw Automotive Facebook fan, Mark Guion, walked away from the event with a football autographed by Lattimore for his son. Guion was the winner of Bradshaw Automotive’s Marcus Lattimore Photo Share Contest, in which the dealership’s Facebook fans shared a photo of Lattimore to their pages to be entered to win. Bradshaw Chevrolet Buick GMC Cadillac is thrilled to have had the opportunity to host a local talent like Lattimore at its dealership and wishes Marcus the best as he enters the NFL. Be sure to stay tuned to Bradshaw on Facebook and Twitter for information on other upcoming events and promotions. Also, stop by our website at www.BradshawGreer.com to view our great selection of new and used GM cars!